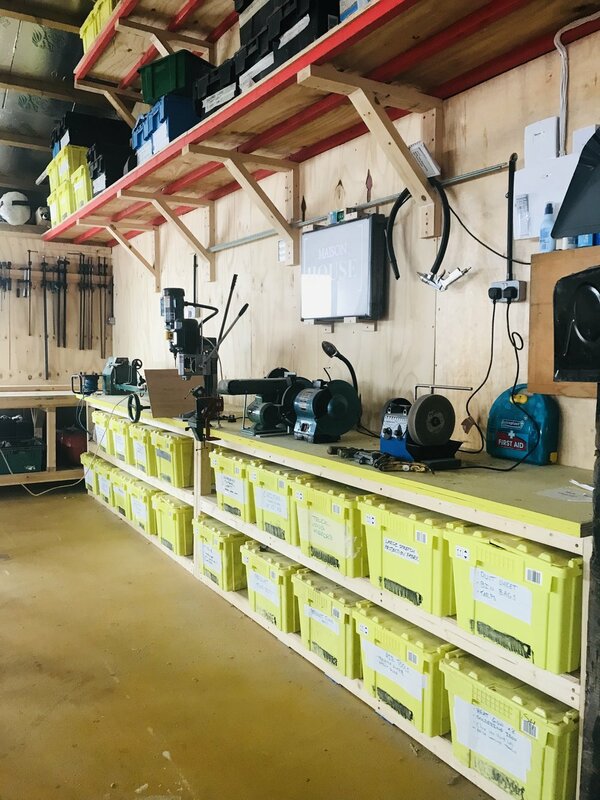 In May 2017 we brought a derelict building and yard which we hoped to turn into workshop, offices and yard complex. We were in and functioning by Jan 2018 - Here’s the journey! 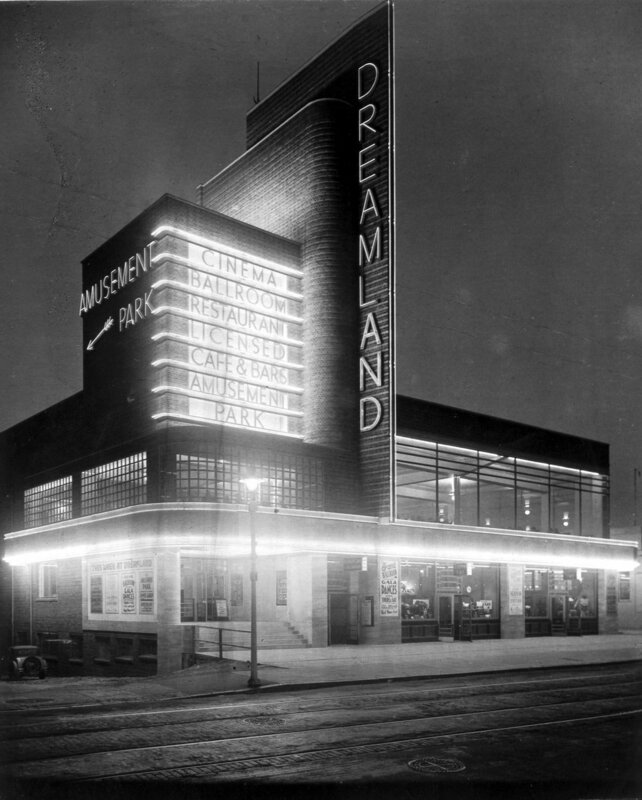 Our third contribution to Dreamland (first two on next blog post) is the 'Mural-By-The-Sea. Again commissioned by Neverland and funded by Dreamland, we wanted to engage with the wealth of artists both already here and attracted to the area. 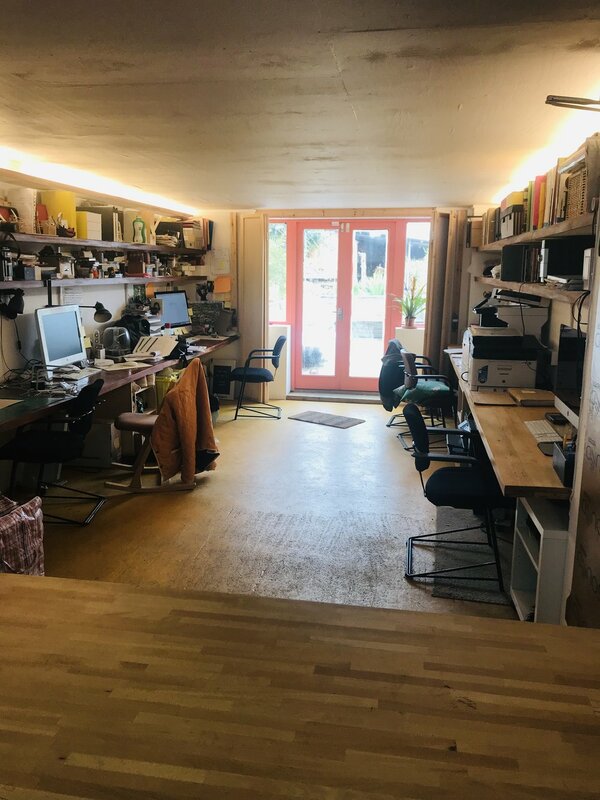 Yes, an area needs an inspirational community, cheap studio space and exhibiting galleries to sustain artists but it also needs commissions with good budgets. This year long programme would allow a direct relationship between Dreamland and artists both from the community and outside of it. Dreamland had a large wall expanse outside the newly renovated Hall-By-The-Sea venue and the work demanded a long thin 2D nature. Inspired by the Art Deco Bilboards of old, which would have advertised Dreamland happenings and contemporary street art we devised the commission: 12 months, 6 artists, 6 works - each engaging with and from an artist within a creative institution which is either already linked to Dreamland and Margate or would like to be. Standing at 14m by 4m the space was huge and demanded concrete footings and structural consideration. We designed a box steel frame outline with perspex wing and top detail. `EDITION 1/6' was curated alongside Dan Chilcott organiser of Pride Margate. 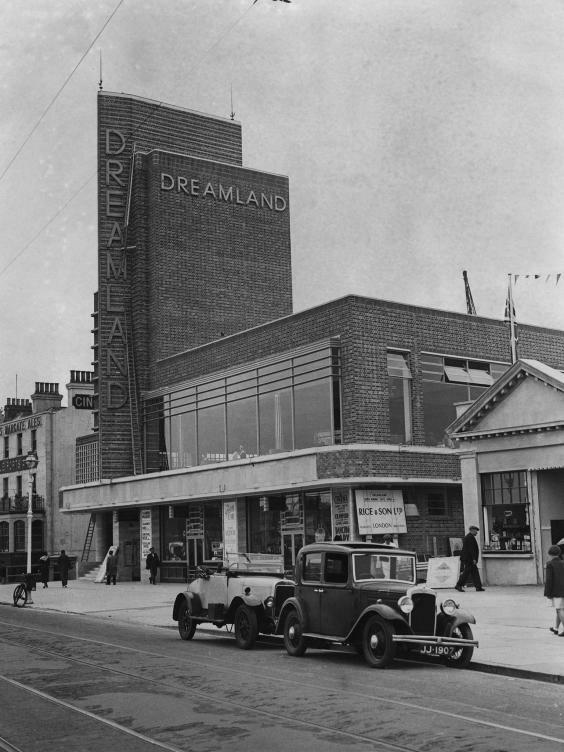 The Pride march was due to traverse through Margate and end at a full event at Dreamland. We therefore wanted the mural to be from an artist connected to Pride. Jacob Love had launched a very successful poster campaign for Pride 2016, the sales of which helped to fund Pride 2017. It made perfect curatorial sense to see 2017's contribution in mural form. EDITION 2/6 will come from Bon Volks, an artist studio in Margate with a wealth of varied talent. The commission is an open call and any Bon Volks member can enter. 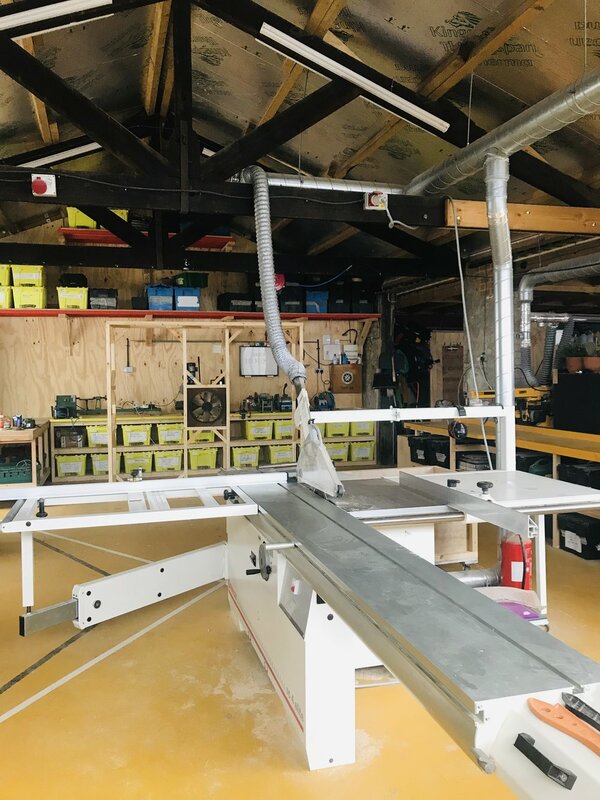 The winner of the commission will be selected by a panel comprising of studioTAC, Dreamland program curator Rebecca Ellis and an established guest artist chosen by Ross and Rachel from Bon Volks. IF YOU WOULD LIKE TO SUBMIT AN ENTRY PLEASE EMAIL tca@studiotac.co.uk FOR AN INFO PACK WITH DATES AND TERMS. 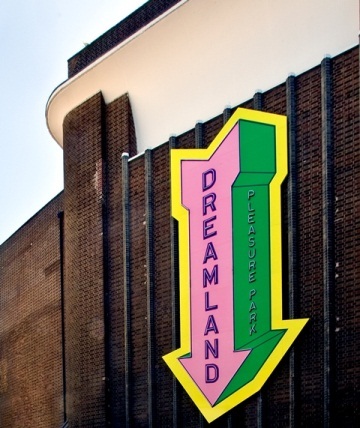 Steeped in serendipity and good connections we were approached by Tom Branston from Neverland and asked to design and build a series of Installations at Dreamland in Margate; our new home town. To be working on our doorstep for a project which is going to add so much to the town was a huge plus point. Moreover, Neverland, a company which facilitates the telling of stories and the communication of narratives, gave us huge creative freedom which, from a client, is a rare and beautiful thing. DREAMLAND is a historical amusement park which has seen many many transformations over its lifespan. From hugely popular seaside attraction up until the late 80's when tourist decline, a devastating fire and switched management saw it's decline to dilapidated and abandoned dereliction. 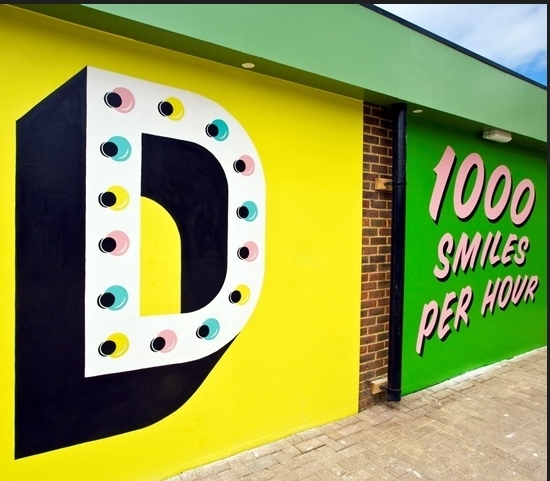 2015 saw a renewed interest and funding for both Margate itself and Dreamland and the park was re-opened and re-invigorated by cleverly re-imagining the rides and park creating a heritage, vintage experience. 2017 sees a brief closure while the site is added to to create a full event venue which can hold music festivals for 15,000 people whilst still retaining its guise as an amusement park. We were asked to design a multi level piece of architecture to work in an awkward part of the site. 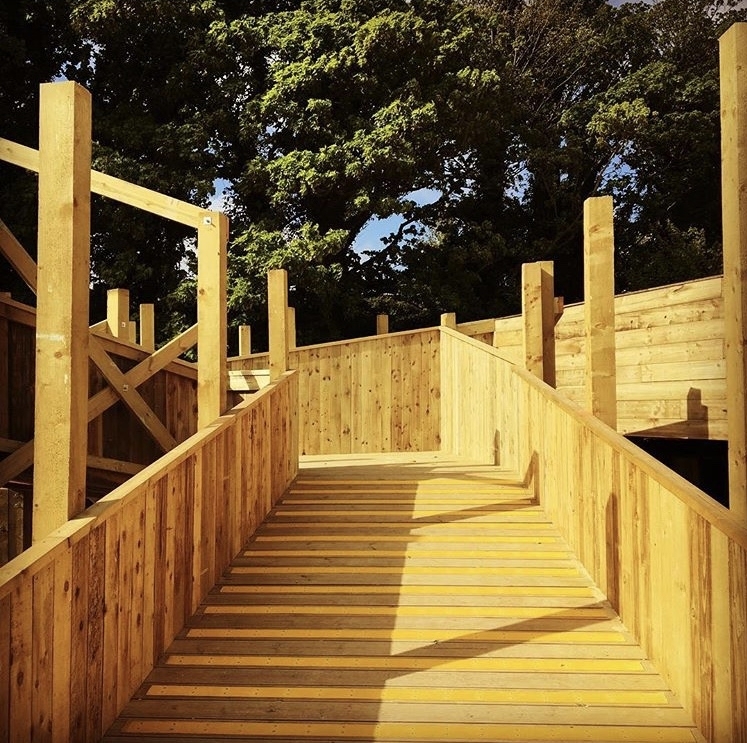 The structure needed to hold 160 people, a VIP bar, a tented roof terrace and sit atop 2 shipping container banks all surrounded by huge trees and planted to look like a treehouse. The challenge involved designing a 'venue' which would delight visitors in both their travel round the structure and their views across the park but still work in the confines of the boundaries created by the surrounding infrastructure. Commissioning body NEVERLAND wanted the 'entrance' to the park to have an impactful and metamorphosing installation which said to the visitor who had just parked in the, less that inspirational, car park - You Are Not In Kansas Anymore. 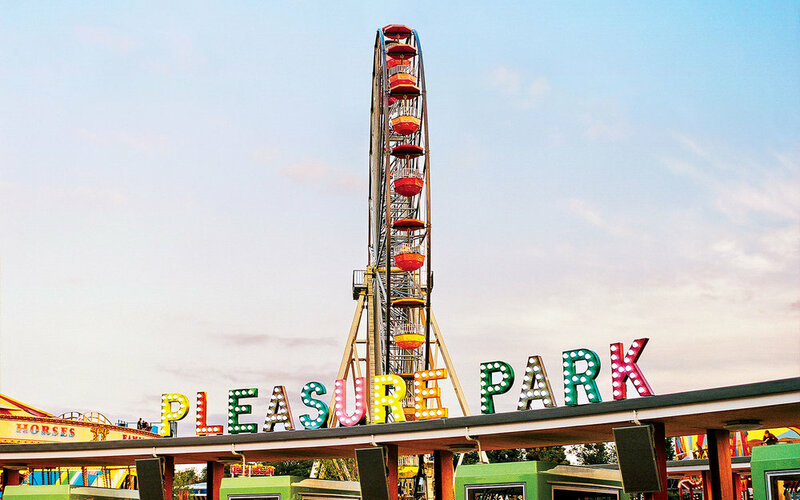 Moreover, this needed to be an art installation which referenced the heritage and 'amusement' of the park but was not a ride in itself - was simply an art installation which stated its existence but reflected its surroundings. We looked closely at its Geographical position which was right in the middle of the scenic railway, an impressive and beautiful 100% wooden roller coaster. This site was completely encircled right in the tightest and highest turn of the ride - the timbers and the sense of being in the centre of the ride was inspirational and we started to look at exactly how to reflect it... with mirrors! We looked at mirror faceted structures and choose to base our design on the simplest and oldest of games - the spinning top. We added bright rainbow colours to the floor and base structure to add reflected colour and a sense of fun. We managed to design mechanics which would allow the piece to be interacted with and turned by hand. studioTAC has made a bit of a momentous decision and moved to Margate. Actually... we have brought a derelict old coach house and successfully got live / work planning consent. 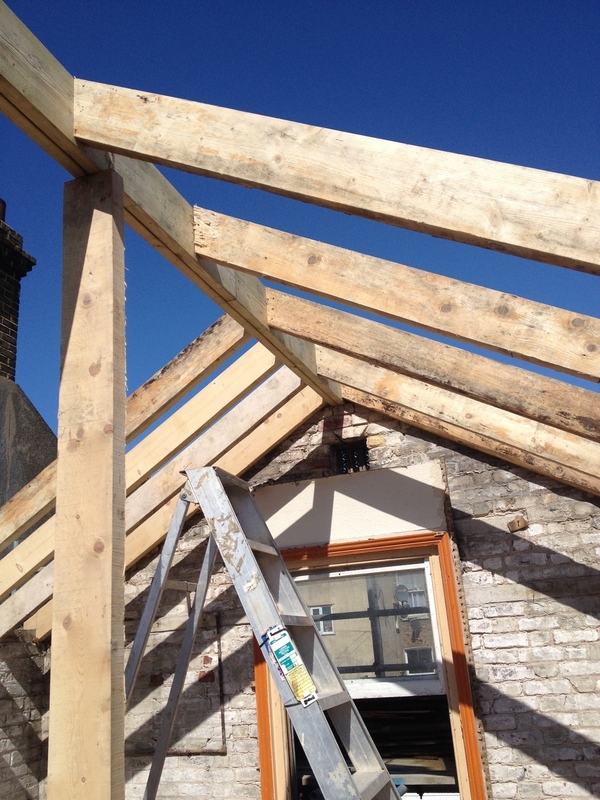 .. so not there yet....however, when it's finished, studioTAC's studio will be in MARGATE! So far we are treating this like a project like any other and enjoying long nights with full wine glasses designing the 1500 sq ft space. First issues is that the building has no windows... how to bring LIGHT!!?? We have decided to take the full design and build on ourselves with only brickwork, plumbing and electrics as hired trade. Some of it we know how to do..... some of it we don't... but that's half the fun! APRIL 2017... UPDATE - we are nearly there! 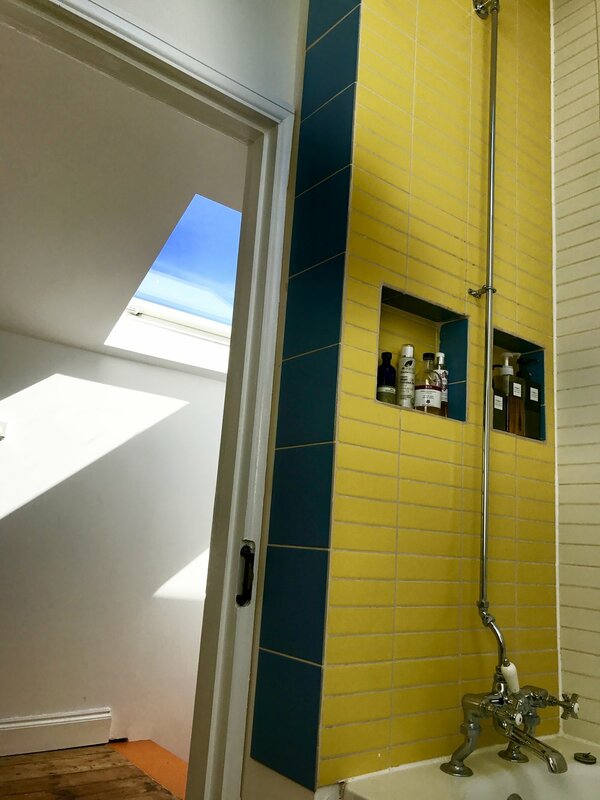 the snagging list still exists of course, but in essence we are in our home and loving every minute of Margate life in our coach house. We were lucky really, we were 'undercover,' some, most actually, weren't so lucky. You see building a festival means building OUTSIDE. When OUTSIDE is seeing the worst torrential rain for 10 years ... it's not much fun. Don't get me wrong, the water still made its way into and through (think a river flowing through a 140ft tent) our 'undercover' structure but at least our top halves were dry. Nether the less, we made it out alive and build a a full 70's hotel set complete with DJ booth / reception, 2 rooms, backstage lobby all stud walled and covered in over 800m of wallpaper to become THE BEAT HOTEL. studioTAC recently won the pitch to design and build a travelling Gin Shop for the rather wonderful and stylish Sipsmith. Their brief was to build a modular set which could shrink or expand dependent on the event they were attending. Historically, Gin was seen as medicinal and as such 'Gin Shops' popped up everywhere to heal the sick (!) Sipsmith wanted to reference this by building a homage to the Gin Shop and going on tour around the Uk in 2016. We looked at Victorian shop frontages in places like Spitalfeilds and Cliftonville in Margate, taking inspiration from the architectural features and shapes to inform our design for a large frontage to sit in front of the tent or stand. The 6m modular bar was designed with shop counters in mind, topped with copper and a back bar showing a Victorian map of London. With the bulk of the build over we now start the finishing; endless undercoating prepping the surfaces for a clean painted and varnished finish. The Sipsmith Gin Shop set will now go on tour appearing at 8 events in year one. The first stop will be Regent's Park which hosts 'Taste of London' in mid June. Showcasing the best in gourmet food and drink producers look out for the Sipsmith Gin Shop and you can attend a sipping masterclass. We look forward to sharing more images of the whole set complete and in situ. Excerpts from a recent pitch deck to re-design a tired 80's communal space in a 200 strong office centre in Clerkenwell. The client wants to re-assign this space to be part co-work hot-desking, part reception, part cafe. We proposed to divide this space up using bespoke made studioTAC forms... fingers crossed, watch this space!